This is the description text. Some of our positive feedback. Read more on the testimonials page. "I have fibromyalgia, and the difficult birth of my second child really knocked me for six. I was so unwell that for more than 6 weeks, I hardly had the strength to get out of bed. I started to think I would never get better. But with a thoughtfully put together nutrition and supplement plan, NutriBaby got me back on my feet. Thank you NutriBaby!" "NutriBaby has given me the confidence to provide the most nourishing start for my child. I have learned what she can digest at different stages of development, all the while supporting her immune system, which will ensure that she grows into a healthy, strong adult, The knowledge I have gained has been invaluable and actually changed the way I cook for my whole family, for the better. I couldn't have done this without Sheila's help. " "Sheila is truly amazing at what she does. Not only highly skilled but helpful and reliable. 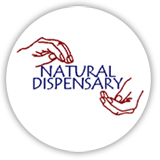 She does her absolute best to take you the highest level of health possible and really cares about your progress." "After a difficult birth with my son, leading to his digestion issues, Sheila helped my son in several ways. He went from screaming all day and night to the settled, and content boy he is today, all done through her dietary recommendations. Thank you." 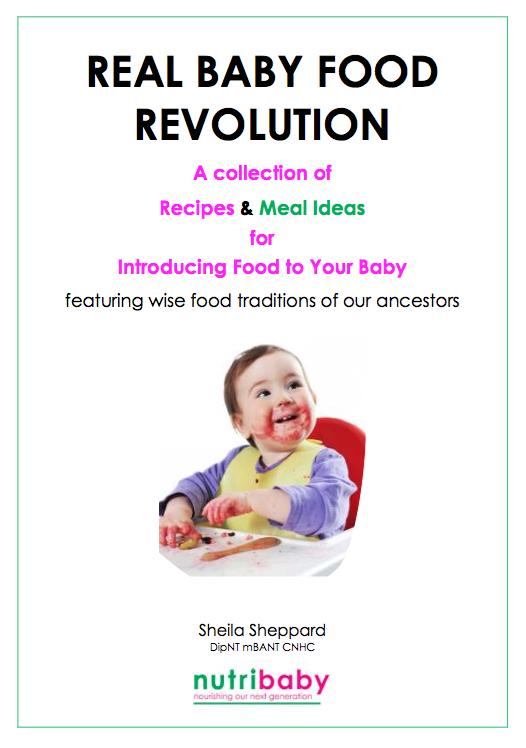 "I love the Weaning Workshop booklets and found them very user friendly, informative and an amazing guide through the weaning process. " "NutriBaby, thank you so much for your support in helping me find cheap, easy, nutritious meal ideas that my kids actually love (so much so that they ask for more!). Feels so great to know that I'm cooking stuff that's full of goodness, and feels WONDERFUL when they wolf it down in delight! :-)"
"Thanks for the supplement info. Me and my two (age 17 months and 3 years) have been taking this for the past week, and we've all bounced back from a cold/cough that we'd not been able to shift for nearly a month!" "Sheila is very personable and I felt very comfortable with her. I found her thorough in her work, exploring any avenue to help me." "My baby boy is having his first taste of food today at 5 months old. Egg yolk. 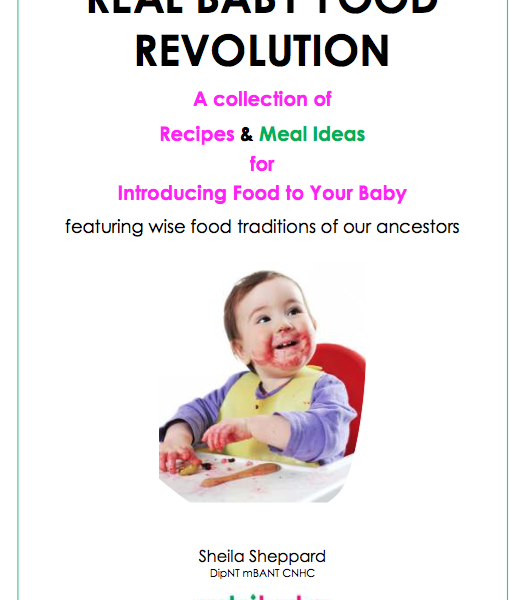 Thanks to Sheila and NutriBaby for all the great weaning information. " "The best money I ever spent was on NutriBaby's Weaning Workshop! I feel like I’m giving my daughter the best start and would never have done it like this without your help. " "Before trying for a baby, I really wanted to be as healthy as possible, but I was struggling with Chronic Fatigue. Sheila began by working with me to support my chronic fatigue; she offered professional and friendly advice in a safe and supportive environment, and my health began to improve. We soon moved on to fertility. Sheila proposed specific supplements for myself and my partner, as well as a wealth of simple nutrition recommendations. As a result, I found out in our very first month of trying that I was pregnant! Sheila supported me throughout my pregnancy with suggestions which helped me stay healthy and positive. I highly recommend Sheila for anyone planning to conceive, whether they are having difficulty or they just want to prepare their bodies ahead of the amazing journey that pregnancy is." At nutribaby we can show you how to make your body a strong and nourishing home for your baby by making simple changes to your eating patterns and lifestyle. At nutribaby our passion is to encourage women to become healthy mums with healthy babies, nourishing our next generation. We offer sound nutrition advice and guidance based on current research and nourishing traditions to help you optimise your baby's growth, development & future health.